Blog | #Giveaway - KAT Grab Bag! #Giveaway - KAT Grab Bag! 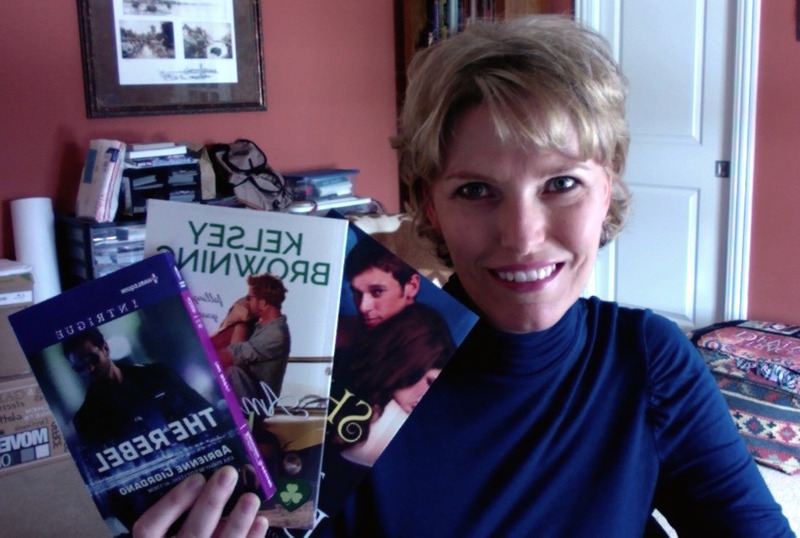 This month, I'm giving away Adrienne Giordano's THE REBEL, Kelsey Browning's AMAZED BY YOU, and my beloved SHEV. To enter, leave a comment below, telling me if you prefer winter, spring, summer, or fall best. I'll select the winner sometime this week. Summer! We are barely into winter here in Ohio (we had a mild December) and I am already freezing and wanting to abandon everything and drive til I hit somewhere warm! Spring! Everything is new and fresh. Fall!!!! Love the colors and cooler temps after summer!!! My favorite is winter. Everything sleeps and rejuvenates to come back fresh and a new start! I prefer Fall. I love the cooler weather and I love watching my son's soccer games. Okay, this is so not cheating. I read leave a comment and that was it. I'm old what cna I say. I think I like fall best, not too cold, not too hot. This is a tough one since each season has it's own beauty. Spring and it's new life...Fall and the quiet but frenzied activity before the deep sleep. If I have to pick one, Fall I love to watch the migranting birds and the Fall colors it is all just amazing. favorite is Spring, when things start to bloom and the grass starts turning green again. I love spring! Winter is leaving, (finally) new life appearing, longer days, warmer temperatures. I love winter as it hardly ever gets cold for long here in Georgia! Spring..everything is new and blooming. Plus there are tulips. Spring, because everything comes to life again after a cold winter. The leaves on the trees turn green, and the grass. I like spring with the blossoming of the trees and flowers, my birthday, and the coming of warmer weather. I like fall. We don't get leaves changing here in Florida but the weather is much nicer and it leads to the holidays without all the stress. Fall is perfect for me. The colors are beautiful. The weather is cooling off. The end of the grass cutting and bugs! Vacation costs go down. I love everything about autumn.